A bright and colorful patch, an ode to traveling and exploring the world, even if home is your favorite place. 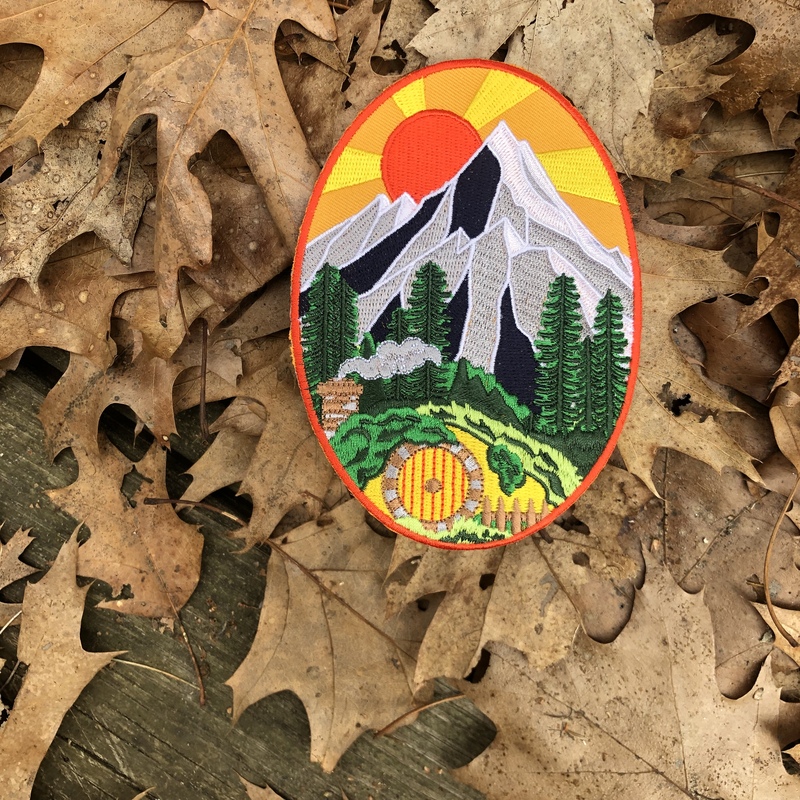 This 5.5" tall patch is lightly inspired by Lord Of The Rings/ The Hobbit in that it has a small hobbit home at the bottom. Iron on. This patch was originally found in our sept 2017 package, wanderlust, but now is a new, brighter variation.